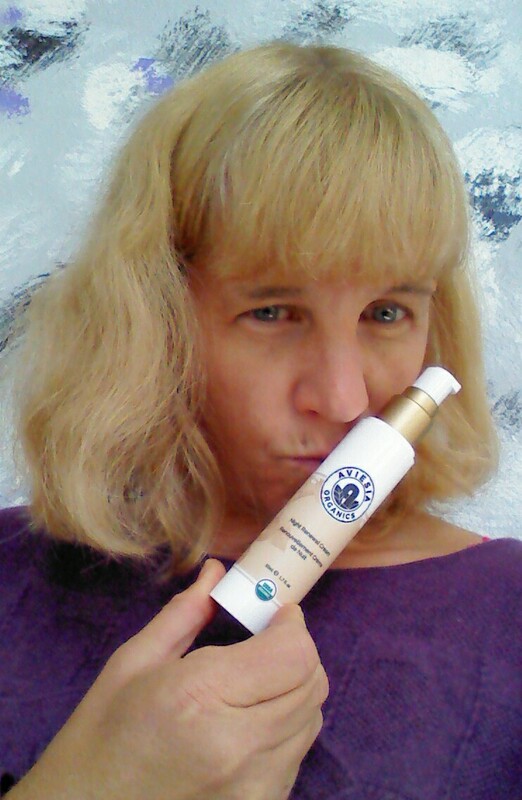 In my quest to keep my skin looking young, I like to try different creams.So I was excited when I learned about an organic cream that is also an anti-aging cream. I don't like putting chemicals into my body or on my skin. So I decided to try Aviesia Organics Night Renewal Cream as I like that it was USDA Organic approved. This rich cream is made with the "super fruit" Davidson plum that nourishes, hydrates, and firms the skin to improve it's elasticity. This cream is not greasy and it makes my skin feel so soft. I love that it is made with all natural ingredients, some of them are even rich in antioxidants. Shea Butter, Beeswax, Sunflower Seeds, Evening Primrose Flower Oil, Avocado Oil, Geranium oil, Davidson Plum Extracts, Rose Flower, Aloe Vera Leaf Juice, Witch Hazel, Chamomile Flower, Mango Seed Butter, Coconut Fruit oil, and Cocoa Seed Butter. Do you like to use natural beauty care products on your skin? This is a cream that I can feel good about using on my skin!!! 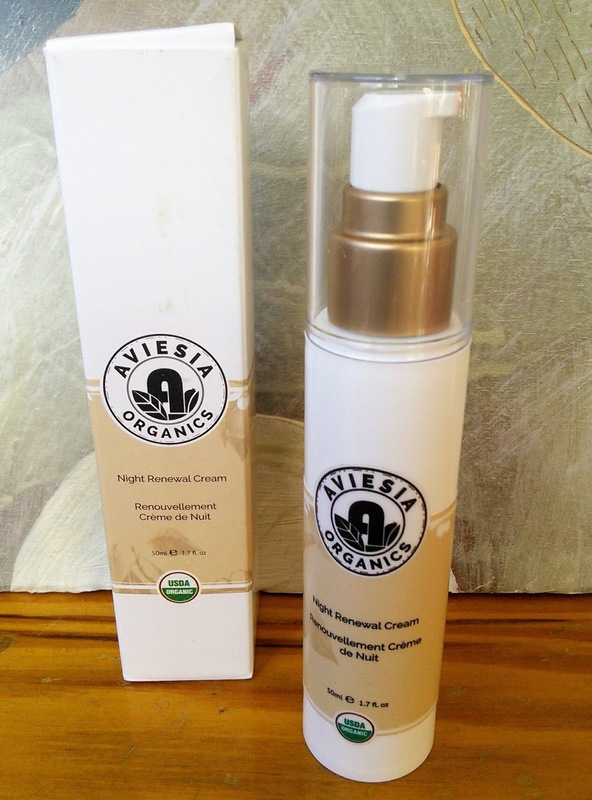 Want to know more about this Organic Night Renewal Cream? "These opinions are my own and I received a sample of Aviesia to facilitate this post." I'm always looking for a cream that works. Thanks for sharing! With those ingredients I am sure your skin is incredibly soft. I love having a baby soft face - gotta check this out. I love natural beauty care products but have not started to use items to make my skin look younger. I have lots of time yet for that. Ooo I will have to give this a go, I love products that aren't greasy! I wanna give it a try, you look even better now and I only believe if I can see the result and it shows. I'm always looking for a great cream for my face that's not greasy. Thanks for the tip. This sounds like a really healthy cream to add to the nightly routine. I really like the ingredients! I need to really start taking better care of my skin!! What a great cream to put in your routine! I have been wanting to start a night cream. This sounds great with some very skin healthy ingredients. I'd try this! My skin could always use some help. Sounds so great cream to use. I am not familiar with these brand but what I like here is organic. i must have this. Sounds like a great cream. I love trying out new skincare items. I'll have to check more in to this one. Wow! That is a long list of ingredients! That cream sounds amazing! I'm sure it's effective! I like to try and use natural skincare products on my skin because it is so sensitive. This does sound perfect. I appreciate the fact that these are made with organic ingredients! That makes me feel safer and more at peace when I use them on my skin! Oooo this cream sounds pretty fabulous!!!! So need to get a bottle of it!